Just 30 examples are planned for the yachting type, of course. Bentley is certainly no stranger to special editions, especially when it comes to even more luxury. So it comes as really no surprise that it’s just revealed the yacht-inspired Continental GT Convertible Galene Edition by Mulliner. Mulliner is, of course, Bentley’s bespoke division, who was tasked with creating the ultimate division of the UK carmaker’s long-running convertible. Powered by the familiar 4.0-liter twin-turbo V8, the big convertible’s styling was inspired specifically by – you guessed it – luxury yachts. 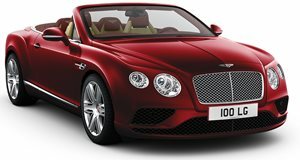 Bentley says the Galen Edition "combines the best elements of an oceanic lifestyle and luxury convertible motoring." External styling has an ocean influence, specifically the "sparkle of crystal clear waters," and yet the paint is called Glacier White. It also features lower brightware in Sequin Blue, which is supposed to remind one of the ocean. Notice the 21-inch polished Propeller wheels. The interior pays homage "to the classic opulence, finest hand-crafted materials and exquisite details." This includes seats with Linen and Portland hides with Camel hand cross stitching. Door panels, center console, armrest, and the dashboard are Linen, Portland and Brunel. There’s also an additional Glacier White stowage case and fascia panels, which can be ordered with a hand painted Jaume Vilardell illustration of a super yacht. Lastly, Mulliner also created a new material finish, Pinstripe Walnut. This surface is used in open-pore form in the center stack and console. All told, Bentley will build just 30 examples, but no word on pricing.